Sony has been talking about developing a movie based on its Uncharted series of blockbuster action games for nearly a decade now. What started as a David O Russell-directed Mark Wahlberg vehicle that sounded nothing like the games morphed into a different adaptation with a script from Joe Carnahan and in its latest iteration has become a prequel starring Tom Holland as a young Nathan Drake. But of all the names that have circled the project in those years, there’s one that fans have been stumping for from the start: Nathan Fillion. The resemblance is there, for one, and Drake is made from the same stuff as Fillion’s most beloved character, Firefly’s Malcolm Reynolds—all smirks and one-liners and charming rogueishness. Despite all the support, including from Fillion himself, he never emerged as a candidate to fill Drake’s half-tucked henley. That changed today—sort of—with the release of a fan film that finally brings these two Nathans together. The independently produced short was helmed by director Allan Ungar, who pitched the project to Fillion over dinner and won the Firefly star over with his enthusiasm for the games. For Fillion, who’s always vocalized his desire to bring Drake to life, getting to collaborate with someone who shared an appreciation for the series was an opportunity he couldn’t pass up. For Ungar, making the fan film was about paying tribute to the world and characters the developers at Naughty Dog created. 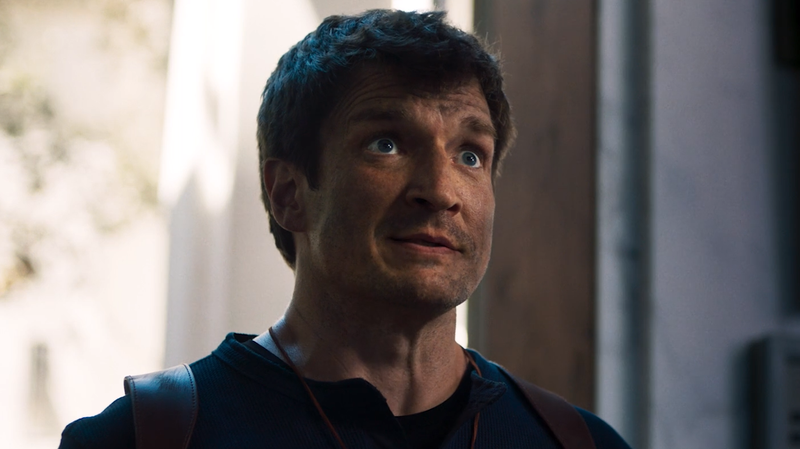 And it definitely does feel like Uncharted, with Fillion taking the kind of beating Nathan Drake endures on a daily basis and quipping away at his captors. Once Drake is free and reaching for his gun, it even briefly attempts to ape the games’ approach to gunplay, with the aspect ratio changing and the camera swooping into position behind Fillion’s back, as it would when Drake is stepping into a gunfight and the player is taking control. The camera even zooms over Drake’s shoulder when he takes aim. According to Ungar, that scene came together as a bit of a happy accident after another direct homage to the games turned out to be too ambitious. “When I had originally written this […] he jumps out the window, but there’s like a sloped roof underneath,” Ungar said. “And Nathan originally was going to be sliding down the roof going, ‘No, no, no, no, no, no, no’ like he does in the game.” Ungar says he realized there was no way they were pulling that off, and they instead committed to shooting the gun-fight in a single video game-styled longtake after he blurted out the idea.